Prehistoric pals make this award-winning math game a blast. 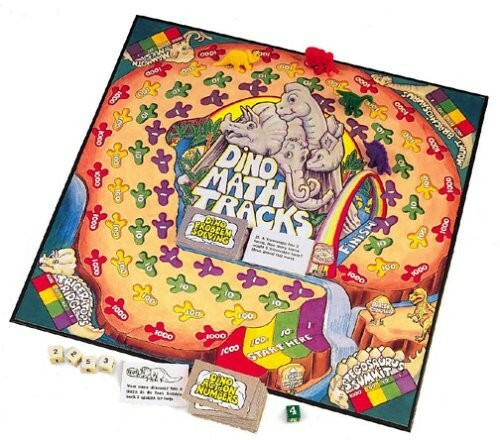 Roll the dice and move the dinosaurs around a delightfully illustrated game board. Learn all about numbers - from counting, addition and subtraction to place value skills. 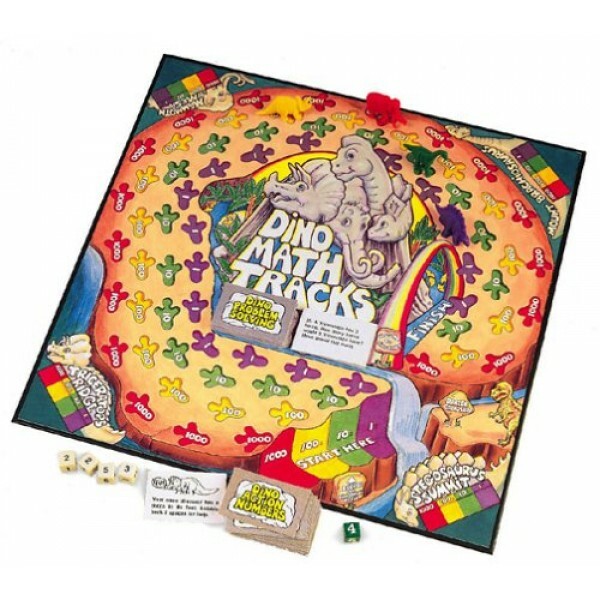 Includes game board, 16 dinosaurs, cards, number die and instructions for various levels of play. For 2 to 4 players.